RESTON, Va., June 12, 2009 -- Northrop Grumman Corporation's (NYSE:NOC) Linda A. Mills, corporate vice president and president of the company's Information Systems sector, has been honored with the 2009 Woman of the Year Award from Learning for Life and the Boy Scouts of America, National Capital Area Council. 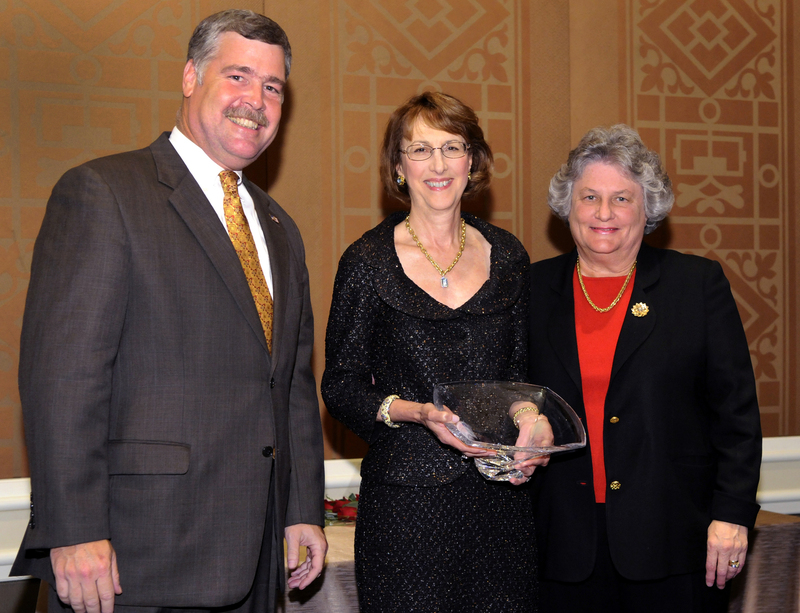 Mills was recognized for her career of wide-ranging achievements and leadership as well as her commitment to the community and efforts to help to increase the number of young girls who enter the technology field. In her role, Mills oversees a $10 billion business that is a leading global provider of advanced solutions for defense, intelligence, civil agency and commercial customers. During her 30-year career with Northrop Grumman, Mills has served as corporate vice president and president of the Information Technology (IT) sector, and held various leadership positions spanning federal/civilian IT, Six Sigma strategy and execution, internal information systems and processes, and intelligence systems. Mills serves on the boards of the Northern Virginia Technology Council, the Wolf Trap Foundation for the Performing Arts, and the Board of Visitors for the University of Illinois College of Engineering. She is also a member of various professional organizations including the Association of Computing Machinery and the Institute of Electrical Engineering. Mills has been honored as one of Profiles in Diversity Journal's "Women Worth Watching in 2007" for her leadership achievements. ExecutiveBiz Magazine selected Mills as one of the "Top 20 People to Watch" in the nation's capital region, and she was listed as "Washington's Top 100 Tech Titans" by the Washingtonian Magazine in 2009. Mills earned a bachelor's degree in mathematics from Santa Clara University and a master's degree in computer science from the University of Illinois. Learning for Life is a character education, life skills and career awareness program that provide resources and support to youth in grades K-12. Learning for Life's mission is to enable young people to become responsible individuals by teaching positive character traits, career development, leadership, and life skills so they can make ethical choices and achieve their full potential.